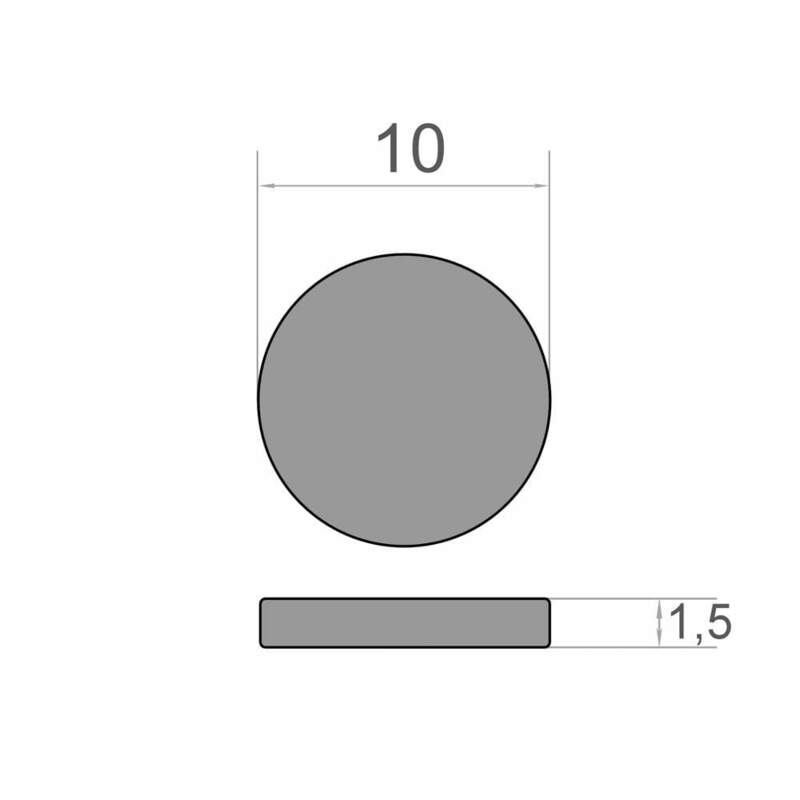 Neodym-Scheibenmagnet 10x1,5 mm - diameter 10 mm, height 1,5 mm. Sehr flach und trotzdem magnetstark und in Kombinatin mit dem Klaber ist es sogar ein Selbstklebender Neodymium disk magnet 10x1.5 mm - diameter 10 mm, height 1,5 mm. 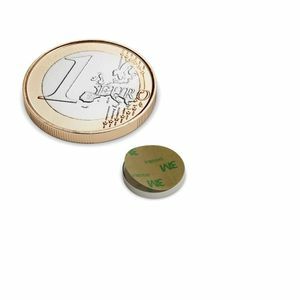 Very flat and non-magnetic and in combination with the Klaber it is even a self-adhesive magnet. The adhesive is only suitable on smooth surfaces. 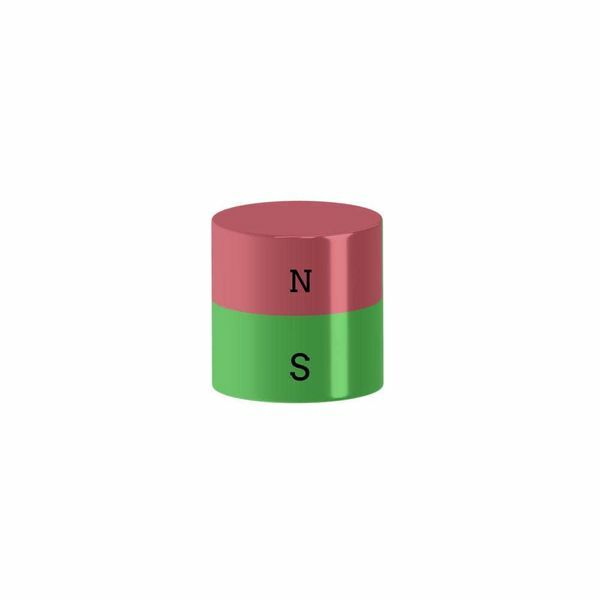 Neodymium disk magnet 10x1.5mm, Ni-Cu-Ni. A neodymium disk magnet with the dimensions 10x1.5 mm with a high adhesive force and also self-adhesive. It is protected against corrosion by a nickel coating and has a visually appealing luster.